ABS automatic hose drum HDS M/S 26429570 https://www.kaercher.com/ae/accessory/abs-automatic-hose-drum-hds-m-s-26429570.html Automatic hose reel as a complete attachment kit that's easy to mount. Suitable for HDS medium and super class. For maximum convenience when winding and unwinding the high-pressure hose. The automatic hose drum offers maximum convenience when winding and unwinding the high-pressure hose. It is suitable for the HDS medium and super class and is very easy to mount thanks to the practical complete attachment kit. It retains all device functions. The hose drum can be conveniently removed for transport. 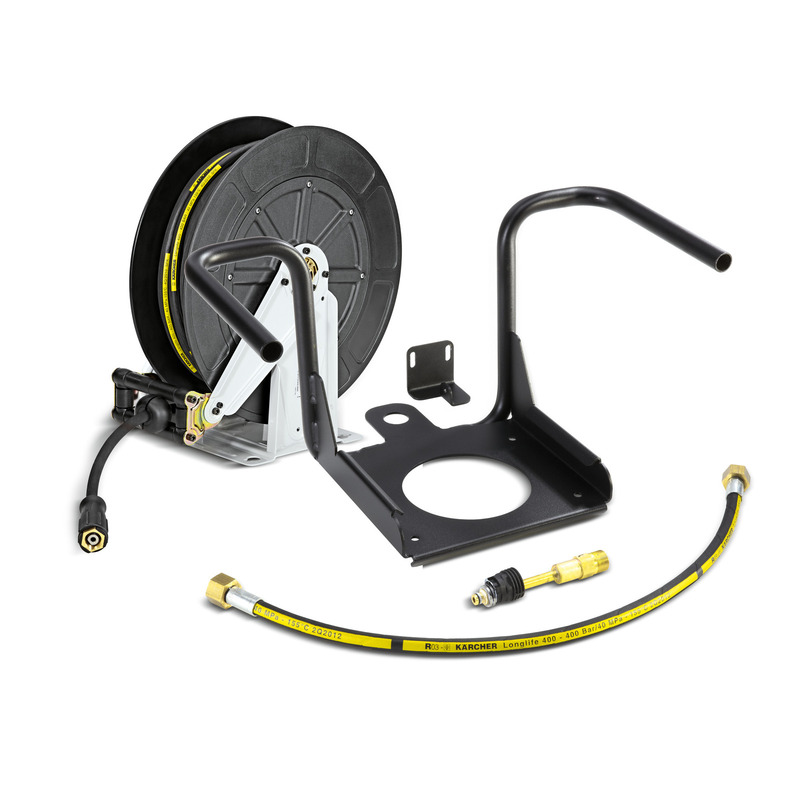 The attachment kit contains an automatic hose drum, a high-pressure hose, as well as all required connection parts.